Home >> National News >> All Eyes On Boston As Geoffrey Mutai Ready to Roll! Class of 1972 Women Among Those To Be Honored. Joan Samuelson Joins Boston Marathon Field. Meb Keflezighi to Serve as Grand Marshal. world’s oldest annual marathon on April 16, 2012. 1979 and 1983 Boston Marathons before winning Olympic Games Marathon in Los Angeles in 1984. Samuelson also ran the 2011 Boston Marathon, finishing in 2:51:29. Fitness Expo on Saturday afternoon. and be recognized in the Boston Marathon,” said Joann Flaminio, B.A.A. she was unable to receive her honors at the 2011 Champions’ Breakfast. This year also marks the 100th anniversary of Michael J.
for the weekend, and will be on display at various functions. “Our champions honor us by their presence,” said Tom Grilk, Executive Director of the B.A.A. their top-seeded bibs for Monday’s race. In addition to these honorees at the Champions’ Breakfast, the B.A.A. win in 1957. He was the runner-up at the Boston Marathon on five occasions. remarks on Kelley’s passing at the Champions’ Breakfast. Kelley was Burfoot’s mentor and friend and both were from Connecticut. 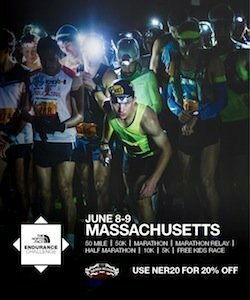 will serve as the grand marshal for the 2012 Boston Marathon. The B.A.A. reserved the grand marshal role as a position of recognition and honor. Marathon twice, placing third in 2006 and fifth in 2010.